Adepta is a professional network of French agribusiness companies, French manufacturers and suppliers of equipment, technologies and inputs for agriculture, livestock and agrifood production. Through its members, Adepta is a unique showcase of French technology and know-how in these sectors, creating a link between the expertise of its members and project holders’ needs. Today, we gather 240 companies organized in 8 sectors. Our professional Food Business Operators are available to consult on any kind of project. We design exhaustive and tailor-made solutions, from upstream to downstream. 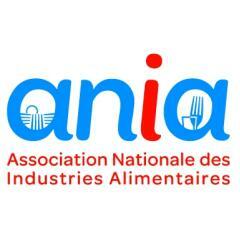 The French Food and Drink Federation (ANIA) brings together 39 sectoral food associations and 17 regional associations, representing 17 647 food processing companies across the country. We are the voice of the number one manufacturing sector in France and provide our expertise in support to food companies in the aim of producing healthier, safer, more sustainable and accessible food for all. The French Agency for international business development.